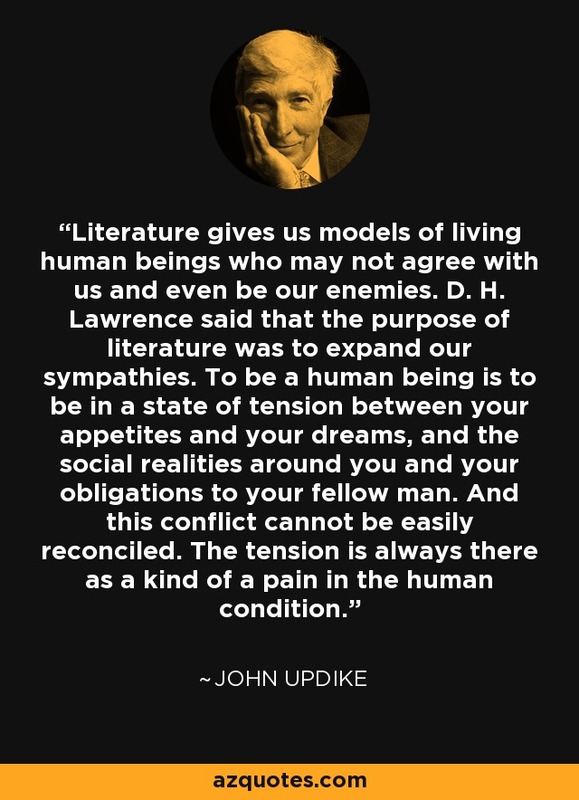 Literature gives us models of living human beings who may not agree with us and even be our enemies. D. H. Lawrence said that the purpose of literature was to expand our sympathies. To be a human being is to be in a state of tension between your appetites and your dreams, and the social realities around you and your obligations to your fellow man. And this conflict cannot be easily reconciled. The tension is always there as a kind of a pain in the human condition.